When buying a home theatre, most people just consider the output capability, but other than the obvious, there are other factors that should be put to use while buying these vastly popular devices. 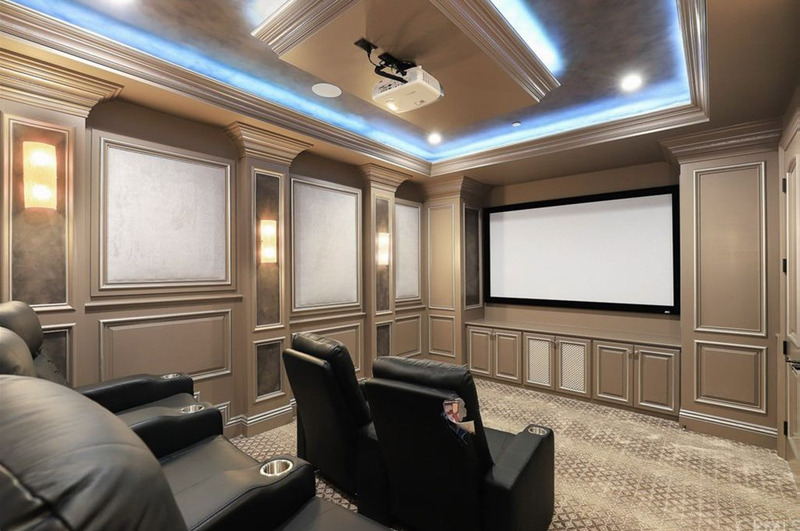 Today there are not only various packages, but with technology, home theatres can now be used for more than just entertainment, with various models and with use of different materials, theme electronics are now being used to improve the aesthetics of one’s house. In the case of home theatres, size does not always mean better. To find the best home theater system in Phoenix, give this a read and you might find your perfect fit. While for small rooms, a Yamaha NS-SP1800BL is perfect. But if you want to go higher on the sound quality and bass, then the Definitive Technology BP9080 5.0 High Power Bipolar Tower Speaker Package with Integrated Subwoofers (Black) is ideal. We highly recommend this tower speaker package that can be easily mounted and looks classy too. The package costs approx $5000, and offer total value for this range. Our experts have tested them out and these perfectly match the description of a power-packed music system that you had been looking for. These Bipolar tower speakers come with 12” subwoofer and a high performance central channel speaker. When compared to other brands, Yamaha products have always done a better job with home theater. While the sony STR-DN1070, of approx $500 comes with bluetooth, wi-fi and chromecast, the sound might not do justice to the anticipation. Which is why we recommend you the RX-A880 AVENTAGE 7.2-Channel AV Receiver with MusicCast. Showcasing high-end engineering design with equally powerful sound, this high-performance AV receivers provide a massive, full-bodied sound for the best movie sound effects along with some of the most accurate reproduction of music unlike any other. Yamaha’s ‘total purity concept’ works on suppressing distortion through its powerful amplifiers. The independent power supplies for analog and digital circuitry helps prevent digital noise to affect circuitry. Plus they have anti-vibration heat sinks to help absorb the vibrations from transistors and sound pressure. If you cannot afford the 5.1 or 7.1 channels, the LG CM4550 brings 700 watts of output through a 2.1 channel system. A powerful subwoofer is not the only pro for this compact giant, and it offers an Auto DJ feature that automatically shuffles music from USB, CD or any smart device. Samsung HT-J5500W home theater system is the epitome of compactness, it delivers Dolby Digital, and DTS Digital surround with compact lightweight speakers and a powerful subwoofer packed in a 12-inch cube. With Wi-Fi, USB and HDMI, it also carries a 3D Blu-Ray player, the only downside is that carries only one slot for each input. With a small budget, and high output are the factors, one can forgo the pleasure of a subwoofer and go for the Sunfire SDS8. this 8” subwoofer delivers a 400W power output with a performance that is totally unprecedented. You would be surprised to know that this little monster is able to create double the output, thanks to its 8” custom acoustic drivers matched to its 8” down firing radiator. So ahead, enjoy the max bass even in small spaces with this compact subwoofers in the best budget. If you are ready to go a little extra mile on the budget since quality is your priority, the we can’t help but come back to Yamaha. The RX-A3080 AVENTAGE 9.2-Channel AV Receiver with MusicCast. This AV receiver has been crafted for versatility and engineering performance with two ESS SABRE™ DACs (one ES9007S and one ES9026PRO). Along with that it has 7 HDMI inputs, 3 HDMI outputs, Dolby Atmos® and DTS:X™, Multi-Zone functionality, Phono input, Wi-Fi®, and much more. So these were some of the handpicked choices when it comes to buying top grade home theaters with all the requisite specs and predefined budget. The list should help you pick the best home theater system in Phoenix.